What’s great about staying at a Doubletree by Hilton hotel is their chocolate cookie welcome. The girls in particular loved the fact that they received delicious warm chocolate chip cookies on check-in. This is our review of the Doubletree by Hilton Hotel Bristol North. 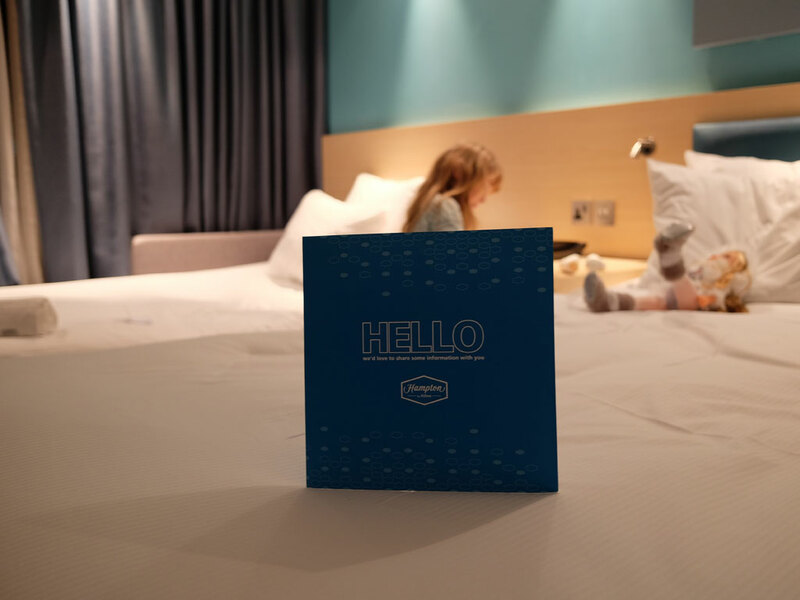 For our visit to Bristol we were looking for a family-friendly hotel that was close to the M4/M5, and we discovered the Doubletree by Hilton hotel Bristol North. As Hilton Gold members we have stayed at many Hilton hotels across the world, but this was the first time we had ever stayed at a Doubletree by Hilton hotel. 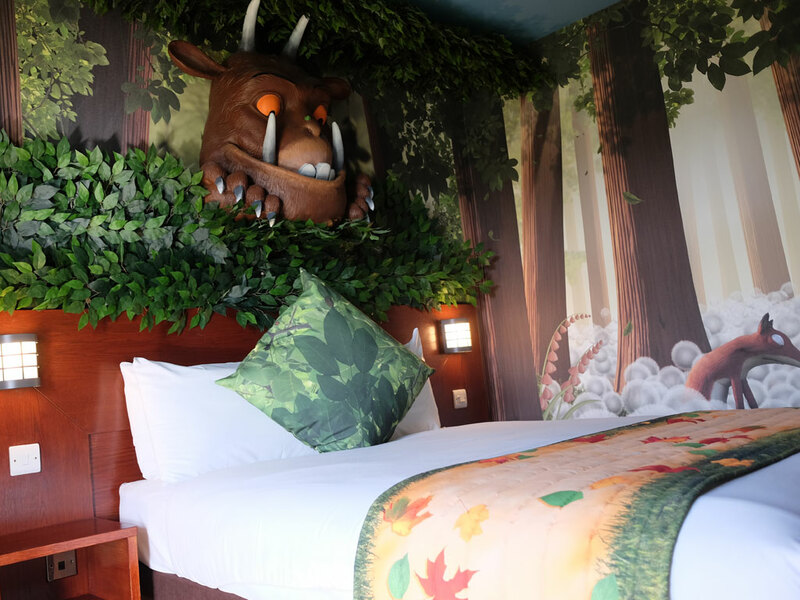 Previously known as the Hilton Bristol the hotel has undergone a makeover, modernising its public areas and bedrooms as part of its transformation to the Doubletree by Hilton brand. 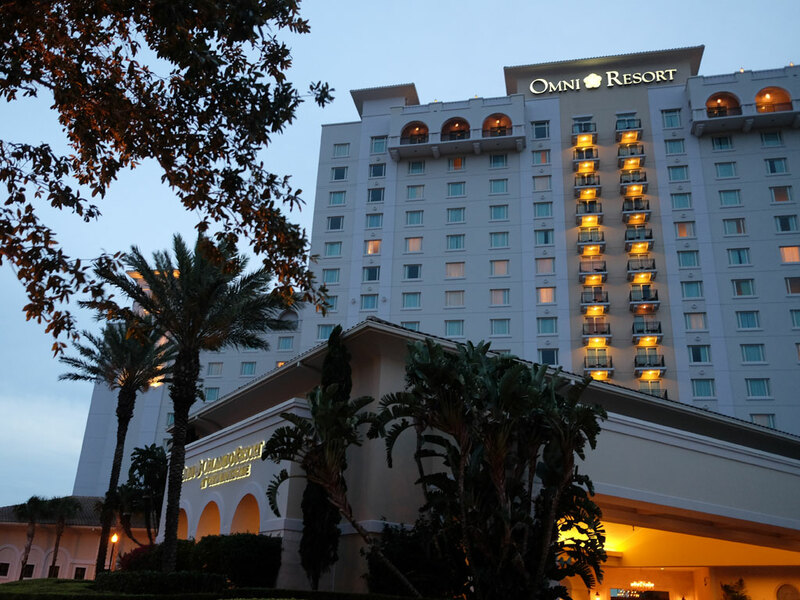 The exterior of the hotel certainly belies its interior – as you step through the doors the stylish and modern lobby area makes for a great first impression. Apart from our warm cookie welcome, our check-in was fast and efficient and we set off through the maze of long corridors to find our superior queen room, one of the 161 bedrooms at the Doubletree by Hilton hotel Bristol North. Our room was clean and nicely appointed (although it didn’t look as though it had been modernised to me) with a cosy queen size bed and a double sofa bed for the girls. As our room was an upgraded superior room, added benefits included complimentary bottled water, bathrobes and slippers and a Nespresso machine with a full complement of drink options. 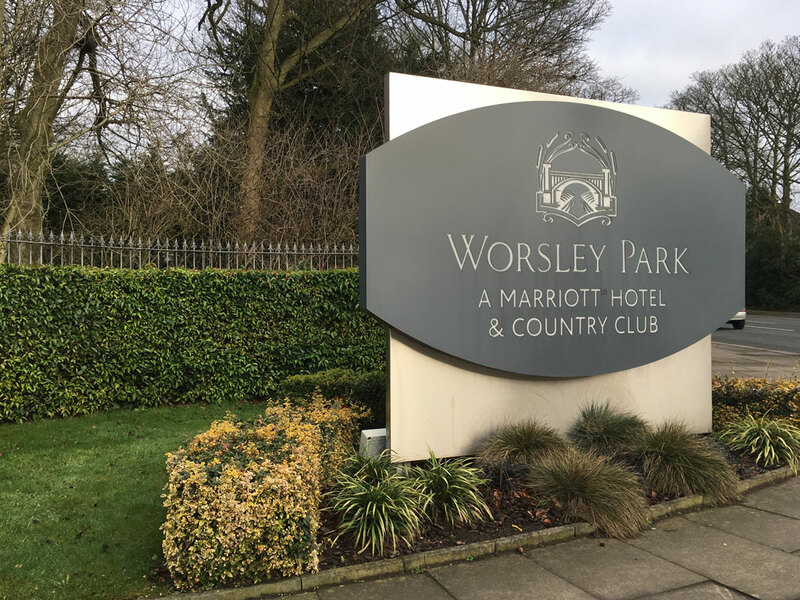 Our rooms contained the facilities you’d expect in this standard of hotel – large flat screen TV, complimentary high speed WiFi (free for Hilton Honours members – which is free to join), tea and coffee making facilities and a selection of magazines. There was also a spacious work desk with the necessary connectivity options for you to get some work done (if you are here on business). A minor quibble was that there was no fridge/mini bar and there were very few electrical sockets making it difficult to charge electrical devices, which we found strange in a modern hotel. The bathrooms were of a good size and modern, comprising a shower over a bath plus delightful Citron by Crabtree & Evelyn toiletries which are one of my favourites. I thought that the toiletries would be the Hilton-standard Peter Thomas Roth toiletries so this was another nice touch offered by the Doubletree by Hilton brand. 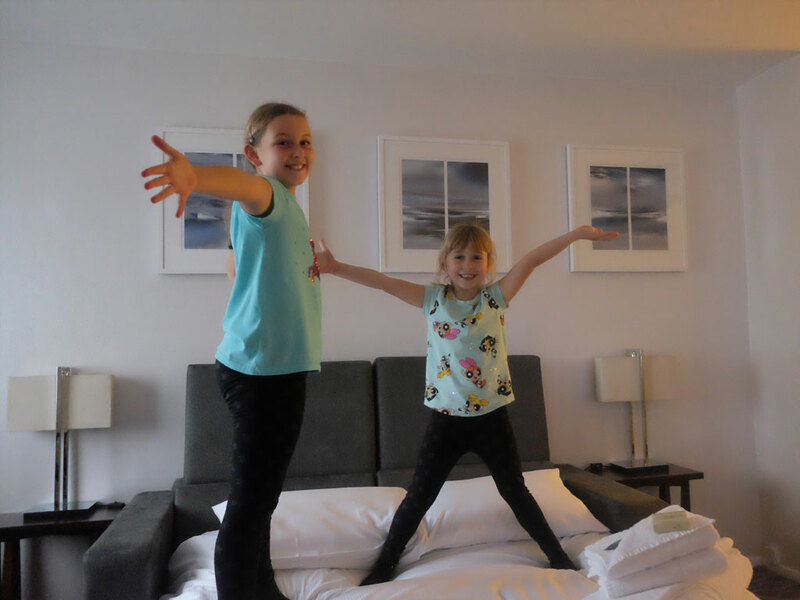 Another great feature of the Doubletree by Hilton Bristol North was that it had a lovely swimming pool, which the girls quickly said was the number one attraction of the hotel. The swimming pool area was a nice way to unwind after travelling, and the girls couldn’t wait to try it out. It met our high expectations, as it was very clean, with pool towels, sauna and steam room. The hotel also had a gym although we didn’t have time to use these facilities. The lobby area of the hotel also comprises a communal space to relax in with comfy sofas and a bar area with a good selection of alcoholic drinks and a Starbucks coffee concession. Breakfast was served at Brunels Hat the hotel’s restaurant. We had a lovely warm welcome and hot tea, coffee or hot chocolate are served to your table. Breakfast is buffet style and was to a good standard with a range of options on offer from hot cooked breakfasts to small pastries, yogurts, fruit and cereals. One of the girl’s favourite areas of breakfast and something that was popular with the children staying at the hotel was their cool pancake maker. After a great night’s sleep and a delicious breakfast it set us up nicely for our visit to Avon Valley Adventure Park and their fun witch and wizard school event which was running for Halloween. If you are looking for a family friendly hotel which is great value for money then I’d recommend the Doubletree by Hilton Hotel Bristol North, it’s worth a recommendation for their welcome cookies alone! Situated just a 5 minute drive away from the M5 it’s in a great location for lots of family attractions in and around Bristol and Bath such as the brand new attraction Aerospace Bristol, Bristol Zoo, SS Great Britain and At-Bristol. Room rates are great value especially if you book early. 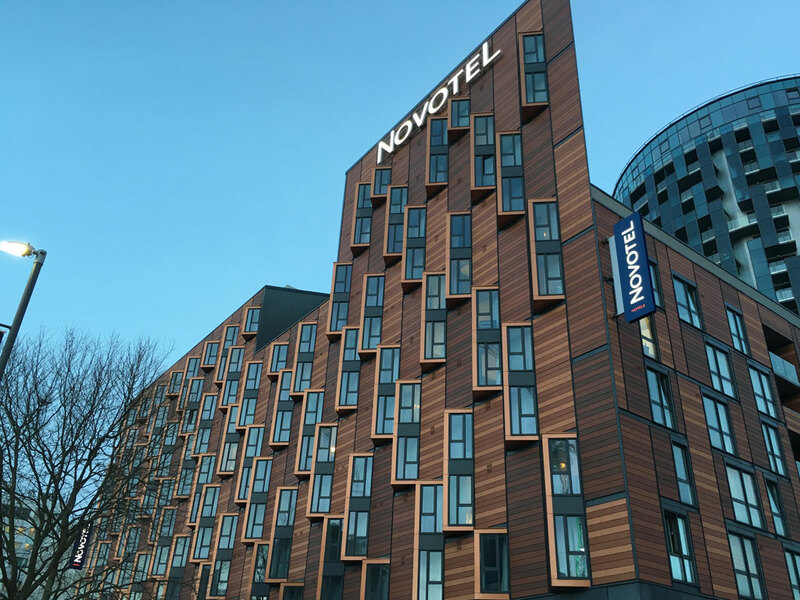 Prices at the Doubletree by Hilton Hotel Bristol North compete with the likes of Premier Inn and Travelodge but offer a much better standard of accommodation and better facilities. Prices at the Doubletree by Hilton Bristol North start from a very reasonable £82 for a king family guest room when booking direct at www.hilton.com as part of the Hilton Honours Advance Discount Purchase rate. If you work in the public sector the rates are even better using the code PR11PN – starting from £73 for a king family guest room with breakfast.